Do you want to become an environmentally conscious kid? What does it mean to be environmentally conscious, exactly? Well, for starters, an environmentally conscious person would first relate well with their environment. This means that they would get to feel comfortable and connected to their outdoor surroundings. A great way to begin doing this is to spend more time outside. The belief is that the more time we spend outside, the stronger our ties are to our planet. So get someone to bring you to play in the park, or get involved with gardening or other outdoor activities! It will be fun and help you form a lifelong bond that will hopefully lead you to make environmentally conscious decisions in the future. In addition to feeling connected to the environment, the environmentally conscious person is concerned with protecting the world we live in. This includes our planet’s lands, seas, air, and living species. To protect the earth, the environmentally conscious person would do their best to stop those things that harm it. Did you know that the improper disposal of regular household waste is one such thing that can be damaging to our planet? Yep, that’s right! That pop can you threw in the garbage, will eventually be added to the loads of trash already making our planet ill. By finding better ways to deal with our waste, we can actually help the earth. So, let’s talk trash! If you have ever wondered what happens to your trash once it leaves your house, ask a grown-up to help you plan a trip to your local metro recycling plant or landfill, to get some interesting answers! You can also plan a local recycling activity, like an electronics recycling day at your church or school. This could help your community get rid of the kinds of trash that should not be placed in the garbage can. Sometimes you can contact your community sustainability representative to help you plan something like this. The generation of today is the decision makers of our tomorrows, so the sooner we get into the habit of wasting responsibly, the better we all will be for it. Just remember that everyone can make a difference and every little bit helps. Do your part to become an environmentally conscious kid, make the 3 R’s your mission, and set a good example for others to follow! 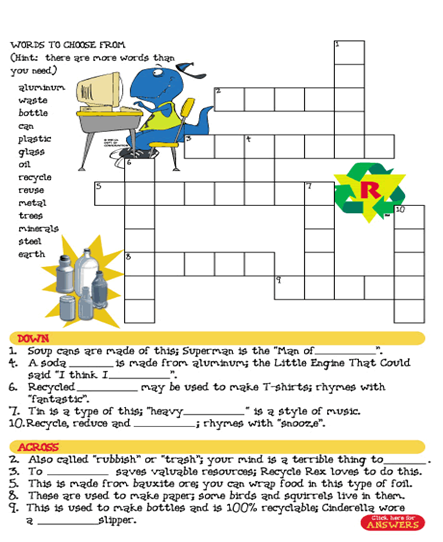 By using the 3 R’s – Reduce, Reuse, and Recycle, we can all learn to put waste in its place! The definition of reduce is to make something smaller by using less of it. If you want to reduce to help the environment, you can start by making smaller amounts of household waste. The key to reducing waste is to conserve, and avoid buying unnecessary stuff that will likely only add to your trash. In other words, make what you have last, and only buy what you need. When buying toys, or games, try to buy items that have less packaging. Less packaging means less waste. If you can’t avoid buying a heavily packaged item, at least consider the best ways to dispose of the packaging later. Another thing to remember in regards to packaging is that while items wrapped in colorful or fancy containers may look nice and grab your attention, they generally are more harmful to the environment, because of the way they were processed. When out shopping with friends or family, encourage them to use their own bags. Reusable shopping bags means less plastic bag production and less plastic bags thrown in the garbage. 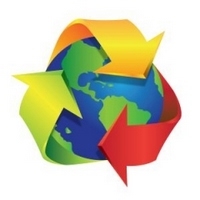 Reusing is an important step that comes after Reducing, but before Recycling. In order to Reuse, you must simply find a second (or third, or tenth, or hundredth) use for a product to prolong its life. Reusing is a process that many of us already do in our everyday lives without even thinking about it. Any time grown-ups buy or sell items second-hand using resources like Craigslist or Goodwill, they are reusing an older product someone else has no more use for. The important thing to consider when you want to reuse things is to use your imagination. Think outside of the box, and be creative! Being creative allows you to figure out interesting new ways to rescue an old product from the garbage can. Use washable cups instead of plastic throw away ones. This cuts back on the amount of plastics being tossed in the trash. If you have to use plastic plates, utensils, or bags, go ahead and wash and reuse them a few times. Remind adults that if they need to replace something big, donating the item to a charity in your area is a great way to reuse! Many charities even have the ability to repair broken items to like-new conditions. Once fixed, these items can many times be reused, and avoid becoming junk in a landfill. Get your neighborhood involved by having a block yard sale, so that unwanted items can find new purpose with other people. Use paper bags, newspapers, or cloth reusable bags, for gift wrap. Use washable napkins to clean up messes, or washable rags for cleaning or dusting. Old products are also great for craft projects! Get some empty yogurt cups, seeds, dirt, and some paint. 1. Wash out the cups, and dry them. 2. Paint and decorate the cups. 3. Add some dirt in the bottom of the cup, then a few seeds, and another layer of dirt. 4. Water your seeds, and watch them grow into plants! Have fun finding ways to Reuse! Recycling can simply be defined as collecting, separating, and sending items we might normally throw away, to centers that have the capability of reusing parts, or all of the original items, in new products. Recycling is something that everyone can help do no matter how old they are, and is good, because it not only keeps material out of landfills, it saves energy and water. Both of which, are precious resources. Almost anything can be recycled, including jars, glass bottles, cardboard, paper, aluminum cans, metal cans, empty aerosol cans, magazines, and catalogs. There are even some items that should always be recycled, because they can prove dangerous when tossed into trash cans. 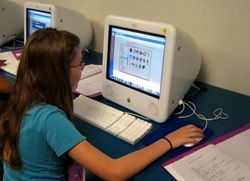 These items include most electronics, like computers, cell phones, and televisions. You know something else that should be recycled…water bottles. 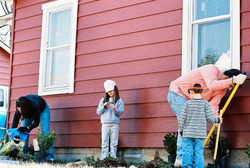 Consider this…the American family uses 4 million bottles every hour, and only 25% of those used are recycled. That is a whole lot of plastic that is making it to the landfills were it can damage the environment. Using a reusable cup may be a better option when you get thirsty, than that water bottle. Make a game of it! 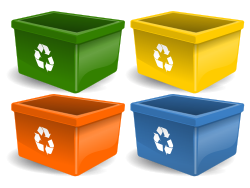 Get everyone in your house involved by giving each person a different recycling bin. Each person is to gather items to recycle, and by the end of the week, whoever ends up with the most items, wins! Have fun!! Take them back, take them back. See if you can unscramble these words! Kids For a Clean Environment – Kids F.A.C.E.